The Sydney Harbour Series shows Sydney’s spectacular harbour side and it’s landmarks in a breathtaking and unique way. The fine art photographs in this series capture the tranquil beauty of the Sydney harbour and showcase magical moments of the Sydney Opera House, the Harbour Bridge and Circular Quay. Photographs are available in three different categories. The Limited Edition Originals show the Sydney Opera House and Circular Quay from their most colourful side. 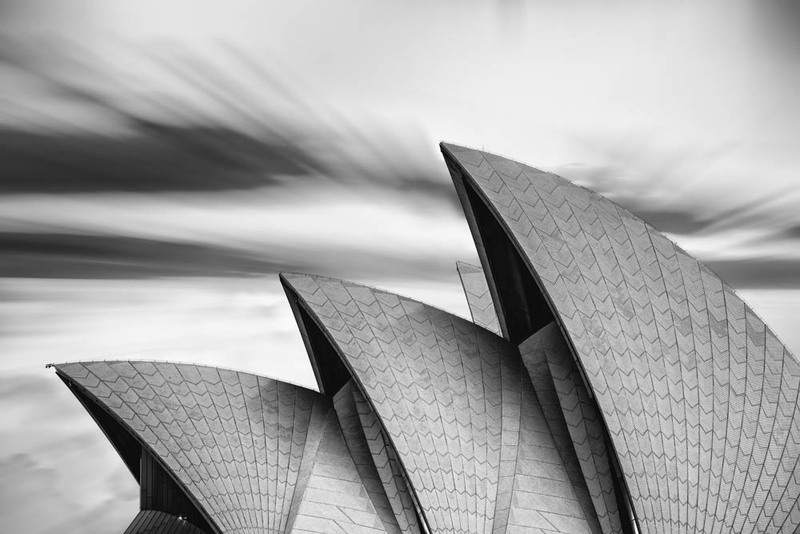 The Black & White Collectors Limited Editions portray the pure beauty of Sydney’s landmarks with classical charm. The Four Seasons Magenta Reflections Collection — shot from the Four Seasons rooftop itself — is the most exclusive set of photographs and captures magnificent harbour views. The Four Seasons Magenta Reflections Collection was shot from one of the most exclusive spots in the harbour - high above the grounds - from the Four Seasons rooftop itself. The unobstructed views from the Four Seasons rooftop provide vast panoramic views across the entire harbour, ranging from the Luna Park in North Sydney, over the Harbour Bridge, the Sydney Opera House all the way to the Royal Botanic Gardens. These black and white photographs are a small and exclusive selection of shots showing Sydney’s two most famous landmarks - the Sydney Opera House and the Sydney Harbour Bridge. The Black & White Collectors Limited Editions feature Sydney’s prominent landmarks in a pure, crisp way with classical charm. The photographs were taken from some of the best spots in the Sydney Harbour, including Mrs Macquarie's Chair, Kirribilli and The Rocks, and put the focus on the architectural beauty of the buildings by blending out any unnecessary distraction from their surroundings. These simple, yet stunning captures turn the Sydney Opera House and the Sydney Harbour Bridge into timeless monuments and priceless pieces of art. The Limited Edition Originals show Sydney's harbour, Circular Quay, the Sydney Opera House and the Sydney Harbour Bridge from their most colourful, most vivid side. These photographs portray the otherwise so busy harbour of Sydney in a uniquely peaceful and serene way.